The global pigments market is expected to continue growing through at least 2018, according to multiple market analyses and reports. The global pigments market will generate $34.2 billion through 2020, according to Ceresana, an international market research and consultancy firm. Organic as well as inorganic pigments are expected to see significant growth, as they are intrinsically linked to the growth of the construction industry. While global textile production accounted for more than half of the world’s dye and pigment demand in 2014, paint and coatings applications are the fastest rising segment thanks to North American and Asian construction activity. Demand is also driven by the manufacturing of printing inks and papers. 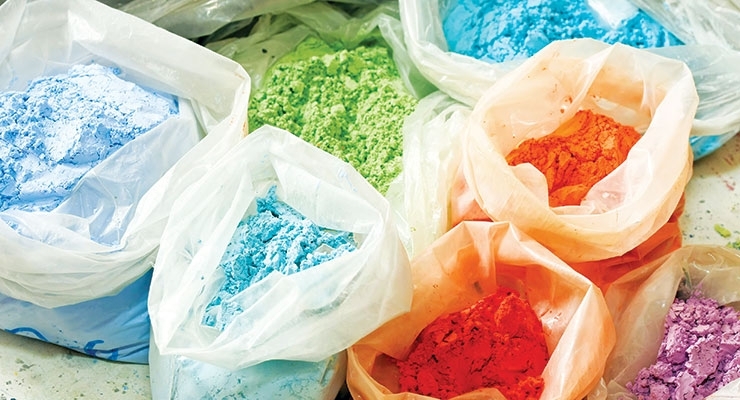 Ceresana’s report, Market Study: Pigments, 3rd Edition, found that Asia-Pacific accounts for almost half of global consumption of pigments already and is expected to increase its share of the market even further. The rapidly growing middle class in both China and India are responsible for increased demand in the region. Researchers at Ceresana found that there are significant regional differences in demand for individual products. Demand for individual types of pigments depends on the requirements of the industry, the regional demands, and governmental regulations. 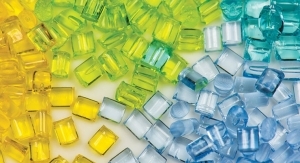 Titanium dioxide (TiO2), researchers said, is dominating the pigment market, given its widespread use in paints, varnishes, and the processing of plastics. “North America consumes a disproportionately large amount of organic pigments; in Asia-Pacific, on the other hand, iron oxides are accounting for a comparatively large share of regional consumption. The largest growth potential in Asia-Pacific is expected for carbon black pigments,” the report states. 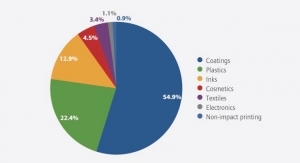 The sale of pigments is largely fueled by the paints and varnishes market sector. Ceresana found that more than 43% of total global demand has its roots in this segment. Charles Hoover, president and CEO of Hoover Color Corporation, said that “the first three quarters of 2015 were good, but since China devaluated its currency things have slowed. “Pigments are at the very beginning of many supply-chains, so small changes in demand travel back quickly to the pigment suppliers. We are being very cautious about 2016. While we are comfortable predicting modest volume growth in North America and Southeast Asia, the rest of world is very questionable,” Hoover said. Michael McCormick, global industry manager for Industrial Coatings at Chromaflo, said that from a colorants perspective, the North American market was sluggish. “The price of oil drove down demand on industrial maintenance and protective coatings,” he said. 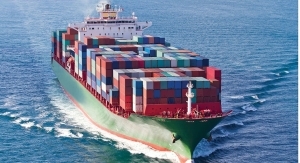 “A reduction in the marine coatings demand also negatively impacted the industrial market performance. 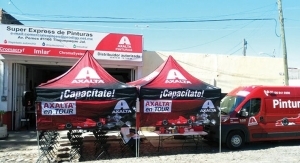 “On the positive side, coatings for wood furniture and automotive OEM performed well. 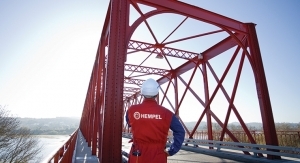 The outlook for 2016 appears to remain sluggish for special purpose coatings, mainly due to oil prices. OEM coatings should continue to perform well due to continued growth in automotive and wood coatings,” he added. 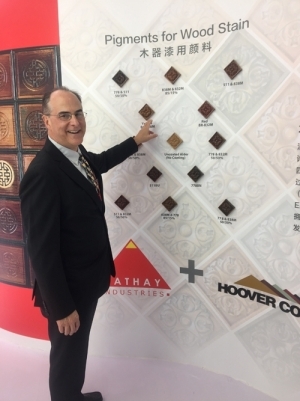 According to Hoover, the major trends and challenges influencing the global pigment market today include energy and TiO2 pricing, which “has clouded the crystal ball,” he said. 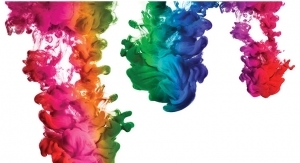 Forsythe, of BASF, said that trends in the industry include “increasing competition with some color index types, the need for specialty products in specific applications and the further globalization of both the pigment supplier and customer base. Crosby, also of BASF, said that the challenge in the market is keeping ahead of these trends. “For example, the automotive market space continues to push the boundaries on performance and cost efficiency with primer-less and compact, low film build coatings. This challenges pigment manufacturers to produce high hide, durable pigments that do not adversely impact gloss. BASF continues to innovate our sustainable product portfolio to deliver solutions to our customers and meet the needs of a dynamic market space,” he said. The increased need for sustainable products – whether because of customer demand or government requirements – is one that will continue well into the future. Forsythe said that BASF responds to these demands by adding functionality to its pigments portfolio. Chromaflo’s McCormick said that his company’s customers are looking for products with equal or better performance at a lower cost. Specific to the automotive industry, BASF’s Crosby said that designers are always seeking new color spaces and novel effects to differentiate their vehicles. “Pigments with ever-higher chroma, saturation, and transparency are desirable without sacrificing required appearance, light fastness, and weathering performance,” he added. BASF: Dragon Gold is new addition to the Lumina Royal line of mica-based interference pigments. These pigments deliver the highest chromaticity available in shades ranging from greenish blues through trending copper and oranges, Forsythe said. The full line of Lumina Royal pigments include: Indigo, Magenta, Aqua, Copper, Blue and Dragon Gold. Paliocrom Sparkling Red, an intense sparkling colored aluminum pigment, launched in 2015 and broadened the red and violet color space, Crosby said. Paliocrom Brilliant Gold and Orange provide excellent hiding, high chroma and an attractive light to dark flop in automotive applications. Chromaflo: With increasingly more demanding VOC regulations, Chromaflo has introduced colorant systems with ultra-low levels of VOCs. 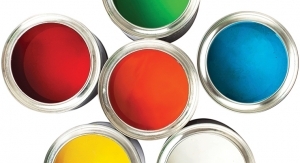 Architectural coatings have some of the lowest VOC restrictions. Chromaflo has been driving VOC levels down in its colorants to get as close to zero as possible. With recent limits on VOC’s in colorants in California, the industrial market is also searching for products with lower VOCs. 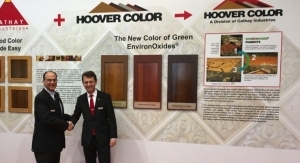 Hoover: Utilizing its new EnvironOxide technology, in 2015 Hoover Color introduced three new pigments with improved transparency. These products chemically are Iron Oxides, so have they have the same superior performance properties that customers expect from Iron Oxides including lightfastness, chemical resistance, low toxicity and UV absorption, said Hoover. 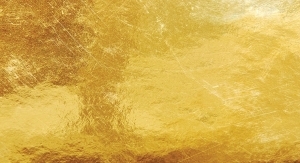 The improved transparency gives formulators new option to produce gold, copper and bronze colors when used to coat polished aluminum or in combination with effect pigments. 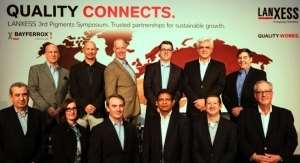 Coatings World: The theme of LANXESS’ recent pigment symposium in Shanghai, China was “The Global Pigments Industry in Transition – turning challenges into sustainable value creation.” So, where do we go from here? Peter Baldus: The pigment industry is in a transitional phase caused by two main factors. 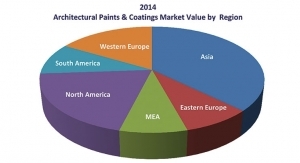 First, the leading paints and coatings manufacturers have become increasingly international in their activities ever since the onset of market globalization. Consequently, pigment suppliers are now expected to grow along with them worldwide and to make pigments of consistent quality available everywhere in the world. Second, the global industry for the production of synthetic iron oxide currently is in a phase of consolidation. This effect is most noticeable in China, where a significant number of small and medium sized producers have exited the market over the last 18 months. The establishment of stricter environmental restrictions in China has had a major impact, and this trend will continue in the coming years. Those companies that have the know-how required to implement sustainable production processes and have sufficient size and competence to meet the demands of the global market are the ones that will be successful. CW: Pigment manufacturers recently have stepped up investments in expanding their capacities, LANXESS included, with its new plant in Ningbo. To what extent do you think a risk of overcapacities exists? 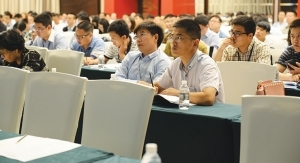 CW: At the pigment symposium, LANXESS introduced the “Ningbo Process” as the first new production process for inorganic red pigments. Why the name Ningbo? PB: In Ningbo, LANXESS will soon be starting up operation of the most modern facility for iron oxide red pigments in the world. Designed to the latest environmental standards, the plant for iron oxide red pigments, as well as a pigment mixing and milling facility, will begin production in the first quarter of 2016. IPG will produce red pigments there using a method newly developed by LANXESS, namely the patented “Ningbo Process,” which sets new standards in terms of resource conservation and product quality. We chose the name because, first of all, we wanted to underline its significance for the iron oxide pigment industry as a process that will set new standards worldwide in sustainability and product quality in the production of iron oxide red pigments. Secondly, the name symbolizes our commitment to China and is an expression of our thanks to the Ningbo Chemical Park for its outstanding support during the entire planning and construction phase. CW: Why was a new process necessary? What is the difference between it and the existing LAUX, Penniman and Copperas processes? PB: LANXESS operates a Laux process in Germany in the world’s largest iron oxide production facility. This method is exemplary in conserving resources and in its consistent use of the heat generated by chemical reaction and turns out high-quality red pigments. But, its color spectrum falls short when it comes to red pigments with a more pronounced yellowish undertone. The Penniman Red process helps to fill that gap, as it is able to render the more yellow-cast color space – however, in terms of the environmental aspects, this process is not so good. We took on the challenge of developing our own process that makes no compromises on quality, sustainable production methods, or conservative resource management. CW: How does your process differ technically from the Penniman process? Is it really justified to refer to it as a new process? PB: The traditional Penniman Red process is probably one of the most environmentally ”un-friendly” processes for manufacturing iron oxide red pigments. The Ningbo process is one of the most sustainable – not only because it is the first to integrate comprehensive waste gas treatment to remove nitrogen oxide, including harmful nitrous oxide emissions, but above all, because the sophisticated control system for the entire process significantly reduces the generation of harmful waste gases from the outset. The remaining waste gases are converted back into nitric acid in a complex system and then returned to the process as a raw material. Furthermore, the combinations of process optimizations, modern plant technology and heat recovery significantly reduce the energy requirement. And thanks to a very efficient water treatment system incorporating biological denitrification, ultrafiltration and reverse osmosis, the process water can be returned almost entirely to the cycle. Apart from the environmental protection measures, the Ningbo process also differs from the traditional Penniman Red process because it incorporates precision-controlled management of the formation reaction, altered synthesis of the starting materials for pigment formation, and a special sequence for the individual production steps. Furthermore, the process integrates elements of the precipitation process with sodium hydroxide in order to achieve the highest possible pigment quality. CW: What product advantages result from the new Ningbo process? PB: Basically, the new improved Ningbo process can produce everything from the more yellowish pigments to medium and dark red pigments. However, the special advantage of this process lies in the very red, yellow-cast spectrum. This is a color range that cannot be achieved, for instance, by the Laux process. Products fabricated by our process demonstrate very good processing behavior and dispersibility, which makes these red grades particularly attractive for use in paints and coatings applications. In addition, the process can produce pigments that are redder than all other commercially available iron oxide pigments. CW: How do the New Red color pigments differ from those currently available on the market? PB: Thanks to the very flexible production process, we are able to not only cover the classic color ranges of the Penniman Red and Copperas processes, but also to achieve new color spaces not previously possible using any of the established methods. It is thus possible to manufacture pigments having a stronger red color component than all commercially available pigments. This is the first real innovation in the field of inorganic pigments in decades. CW: For what applications are red pigments used? PB: Paints and coatings will be the primary area of application for our New Red pigments manufactured via the Ningbo process. 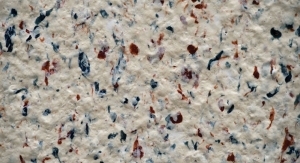 However, other applications are also conceivable, including the coloration of plastics, paper and building materials. Our new pigments from Ningbo are also candidates for use in a diverse range of technical applications, particularly those such as catalysis, for example, that require high-purity iron oxides with a tight particle size distribution. CW: Have you already tested the pigments in practice? PB: It was extremely important to us to fully test the new products from the Ningbo process in our own Applications Technology facilities, but also by getting feedback from various paints and coatings manufacturers in a pre-marketing campaign. This was especially important to us because we take the needs of our customers very seriously and integrate them directly into the development of new sales products. Overall, we received positive feedback from our customers on our new products from Ningbo. However it will take until Q1 2016 before we can offer standard production samples. Customers continued to send us requests for the development of more new products, and we currently are reviewing the feasibility in our Product Development and Applications Technology departments.